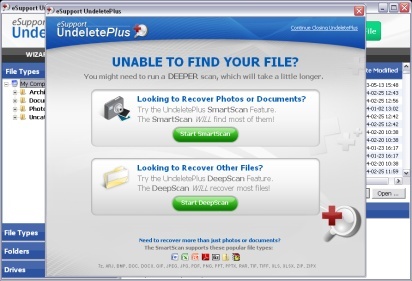 Recover deleted or lost files quickly & easily! Get your free file report! 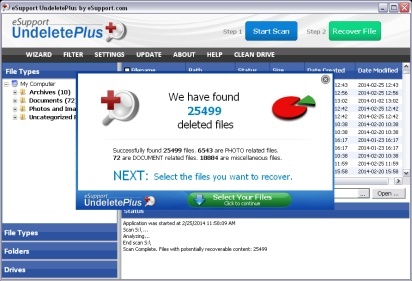 A quick and effective way to restore deleted or lost files. It can also recover files that have been emptied from the Recycle Bin, permanently deleted files within Windows using the Shift + Delete, and files that have been deleted from within a Command Prompt. "I must say your program is great~ I was able to recover pictures of my baby that I thought I lost forever... My wife loves me again! :)"
Copyright © 2019 eSupport.com Inc.